THE PURPOSE OF THIS EVIDENCE GUIDE is to present the existing international research base on the impact of lifelong guidance, including its educational outcomes, economic and employment outcomes, and social outcomes. The guide has been prepared for ELGPN by Professor Tristram Hooley, International Centre for Guidance Studies, University of Derby, UK. It builds on the work undertaken by the European Lifelong Guidance Policy Network (ELGPN) during 2008–14, including the Quality-Assurance and Evidence-Base (QAE) Framework which provides an approach for policy-makers to address quality assurance and evidence-based policy and system development. The guide synthesises the existing impact evidence. It suggests that guidance is most effective when it is conceived as a lifelong system and that policy-makers should continue to develop this evidence base to ensure that policies are based on the best evidence available. 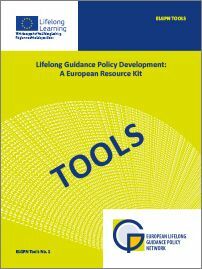 ELGPN represents a major development in support of national lifelong guidance policy development in Europe. It currently has 31 member-countries (AT, BE, BG, CY, CZ, DE, DK, EE, EL, ES, FI, FR, HR, HU, IE, IS, IT, LV, LT, LU, MT, NL, NO, PL, PT, RO, SE, SI, SK, TR, UK), with an additional country as an observer (CH). The participating countries designate their representatives in the Network, and are encouraged to include both governmental and non-governmental representatives. As a Member-State-driven network, it represents an innovative form of the Open Method of Co-ordination within the European Union (EU).